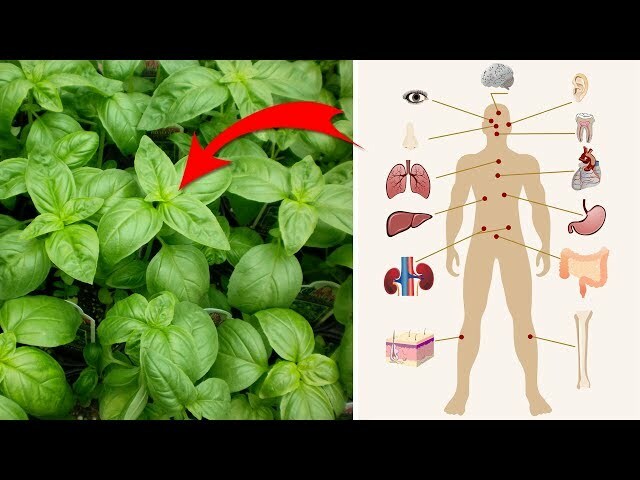 One of the most popular herbs is Ocimum Basilicum commonly called sweet basil. Often called the ‘king of herbs,’ basil can be grown indoors or out. Sweet basil has inch-long, oval-pointed, dark green leaves and a clove-pepperish odour and taste. Sweet basil makes a handsome, bushy small plant, growing to a foot or more indoors. A purple-leafed variety, ‘Dark Opal’ is decorative, makes a lovely houseplant and is equally useful in cookery. Do not let basil bloom, or it will go to seed. Instead, pinch out the plant tops and they will grow into compact little bushes. Basil can be easily started from seed or can be brought indoors at the end of the growing season. 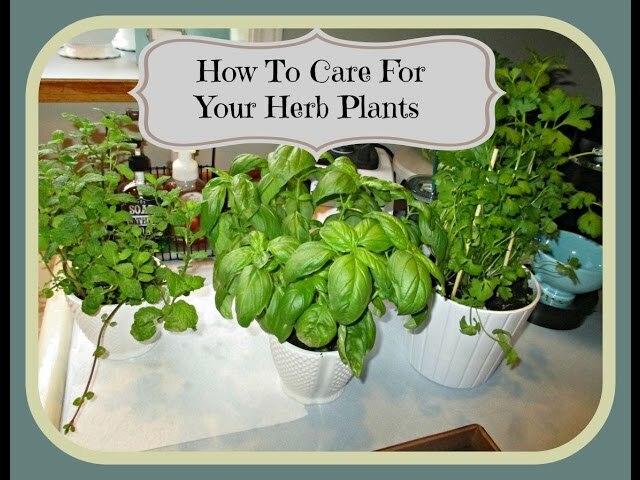 If you are bringing basil indoors, choose the most robust plants. Before the first frost, dig them out of the garden and pot them up in fresh potting soil. 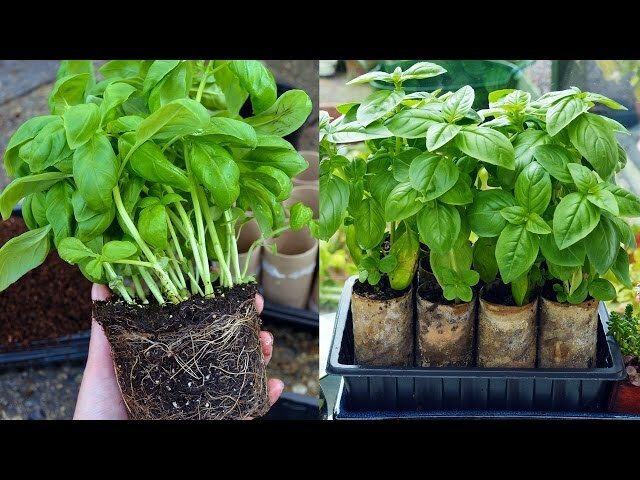 Basil can also be grown in pots outdoors and treated the same way when bringing them in for winter. Basil is an annual and grows 12 – 24 inches (30 – 60 cm) as the height varies according to the variety. 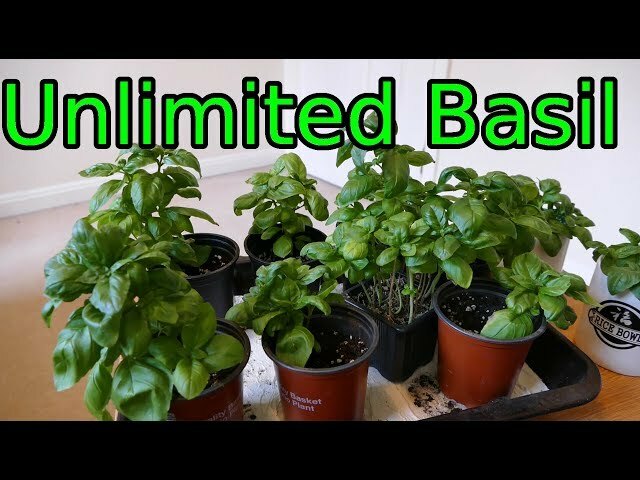 Cultivation requirements for growing basil: full sun; light, well-drained, nutrient rich, slightly acidic soil; frequent watering (don’t waterlog); will not tolerate cold; pinch off flower stalks for a longer leaf production. Check for insects and if there is an infestation, spray with a soap and water spray. Gradually reverse the hardening off process by keeping the pots out of direct sunlight for about a week. The plants will become acclimatised to the lower light conditions they will experience indoors. Bring them inside and provide the conditions they need to continue growing. Basil requires at least five hours of sunlight a day to stay healthy and flavourful. If you are growing basil on the windowsill, turn regularly to ensure every side receives light. Don’t let basil leaves touch the cold glass. Basil grows even better under fluorescent lights in the winter. Hang the lights 6 inches (15 cm) from plants and leave lights on for 14 hours a day. There are many cultivars of basil. Two that are particularly popular are: O. basilicum ‘Dark Opal’- only herb to win the All American Award of Excellence – can be used the same as sweet basil; O. basilicum ‘Citriodorum’- strong lemon scent – nice for tea and with chicken and fish. In the garden, basil can be planted with tomatoes as it helps to overcome both insects and disease. Basil also repels flies and mosquitoes. In the kitchen, use basil in tomato dishes (both raw and cooked), pesto, sauces, salad dressings, soups, fish dishes, mushroom dishes, egg and rice dishes, mixed with other herbs, omelettes, pasta dishes, vegetables such as carrots, eggplant, cabbage, squash and zucchini. Use fresh leaves in salads, add fresh leaves to vinegar and extra virgin olive oil. 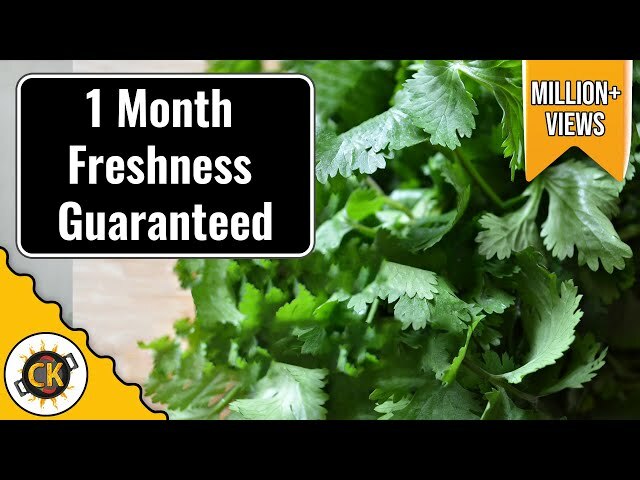 Basil can be used fresh, frozen, or dried. Use basil with discretion, as it is one of the few herbs that increase in flavour when heated.